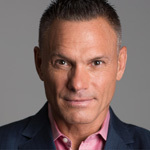 Kevin Harrington, chairman and founder of As Seen On TV, Inc., is widely acknowledged as a pioneer and principal architect of the infomercial industry. In 1984, Kevin produced one of the industry's first 30-minute infomercials. Since then, he has been involved with over 500 product launches that resulted in sales of over $4 billion worldwide with 20 products that reached individual sales of over $100 million. 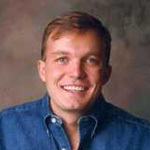 Kevin founded Quantum International, Ltd. in the mid 1980s, which merged into National Media Corporation in 1991. Under his leadership as President, National Media reached $500 million in annual sales, distributing in over 100 countries and 20 languages. This company's success has been chronicled in a case study at Harvard/MIT for over a decade. Kevin was also CEO of several other entrepreneurial companies including HSN Direct, a joint venture with Home Shopping Network, in 1994 and Reliant International Media in 1997. Due to his extensive resume, Kevin was selected as an investor "Shark" on the ABC television series Shark Tank produced by Mark Burnett. The show gives budding entrepreneurs the chance to pitch their products to a panel of acclaimed Sharks in hopes of turning their ideas into a successful business reality. Kevin also appears regularly on national TV including The Today Show, Good Morning America, CBS Morning News, Fox News, CNBC, The View, Wendy Williams, CNN, MTV, Bethenny TV, as well as Wall Street Journal, NY Times, Success, Entrepreneur, and contributes to a weekly column on Forbes.com. Lt. Col. (ret.) 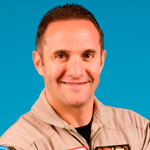 Rob ‘Waldo’ Waldman - The Wingman – is a professional leadership speaker and author of the New York Times and Wall Street Journal bestseller Never Fly Solo. He teaches organizations how to build trusting, revenue producing relationships with their employees, partners, and customers while sharing his experiences as a combat decorated F-16 fighter pilot and businessman. In addition to his speaking business, Waldo is also founder and President of The Wingman Foundation, a 501(c)(3) whose mission is to build funds and awareness for soldiers, veterans and their families in need. 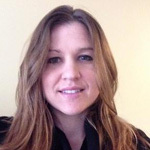 Waldo is a graduate of the U.S Air Force Academy and also holds an MBA with a focus on Organizational Behavior. A member of the prestigious Speaker Hall of Fame, he is a Certified Speaking Professional (CSP) and member of the board of the National Speaker’s Association. His clients include Hewlett Packard, Verizon Wireless, New York Life, Siemens, Home Depot, Aflac, and Johnson & Johnson. Voted one of the Top 40 under 40 Business Leaders in Georgia, he’s been featured on Fox & Friends, CNN, NBC, Harvard Business Review, Investor’s Business Daily, The Atlanta Journal Constitution, INC. Magazine, and Business Week. David has received the highest recognition for his success in developing food products among many temperature classes (grocery, frozen, dairy, meat and snacks) throughout multiple channels (traditional grocery, membership, club and military). David has served on both retailer and manufacture advisory boards throughout his tenure with much focus on consumer trends and insights. Over the past several years David has spent much of his focus on his passion of pioneering new, innovative products from manufactures throughout the world in developing a presence in the U.S. When not traveling, David spends time with his family (wife Lynn, three sons, three daughters, two grandsons a black lab and two cats). He attends Transformation Church in Indian Land, SC and is an avid football fan where he follows his Carolina Panthers and Tennessee Volunteers. 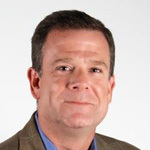 Clint Jensen brings over 23 years of Consumer Packaged Goods experience with Kraft Foods in both the U.S. and Canada including senior roles within Retail, HeadQuarters, and numerous Customer Business Teams. 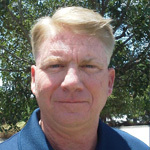 Clint has just recently joined the Snyder's-Lance Organization with responsibility for the traditional customers, convenience channel, and military sales in the Mid-South Region based out of Charlotte NC. Clint has been married for 21 years to his wife Darcia and has two children Tanner (19) and Ashleigh (17). Mr. Stark has over thirty years of experience as an Entrepreneur. 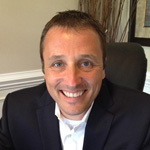 As the CEO and owner of PROFITsystems, the world's largest provider of software and services to the Retail Furniture Industry, Mr. Stark has extensive experience in both high technology and retail. As a private business owner, Rick has both been on the buy side and sell side of multiple mergers and acquisitions, all in excess of $10M USD. Presently, he works for AFI (the world's largest furniture manufacturer and the world's largest furniture retailer) and TDG (the world's largest Ashley HomeStore ownership group) as a private consultant. PROFITsystems was acquired in Q4, 2013 by AKKR. Steve’s a C-level guy who runs the numbers and builds relationships. His experience includes leading companies that range from $1 million to $1 billion in revenue and taking companies from private to public. Since his early career with Price Waterhouse and IBM to leading a business turn around as the CEO of Muzak, Steve’s proven to be the guy you call when the challenge and the opportunity are big. Steve’s a big sports fan so it’s no surprise he counts winning an NCAA Hockey Championship and trying out for his hometown New York Rangers among his proudest accomplishments. When he’s not running a business, Steve is running marathons, playing hockey and spending time with his wife and four children. Mr. Gorman has over thirty years of private and public sector senior executive, in management, security and intelligence, finance, operational applications and development for industry sectors including international banking and economics, resort development, gaming, telecommunications (wireless and optical networking), data handling and data security hardware/software for enterprise markets. 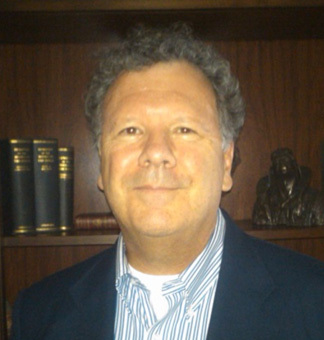 Mr. Gorman is a Senior Adviser to the Payroll Tax practice of the Waldman Group. He also is currently a Managing Director/Corporate Trustee of the legendary Soekarno Trust’s US private family office, the largest single holdings of assets on the planet and advises several US agencies on the sensitive strategic implications for management and disposition of these assets. Formerly, Mr. Gorman served as CEO of Las Vegas Sand’s Inc., Venetian Hotel-Resort-Casino Interactive Group, President of former NASDAQ mid-cap SSP Solutions (the leading provider of data security hardware and software equipment to US government agencies for classified data protection), and Executive VP of both Silk Road Fiber Optics and Land-5 Data Systems.